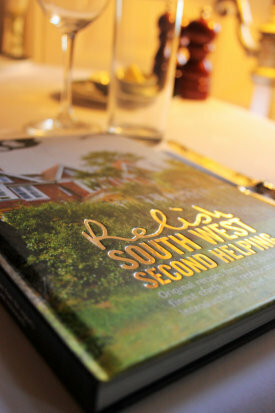 We are honoured to have been selected to feature in this prestigious book, Relish South West, second helpings . 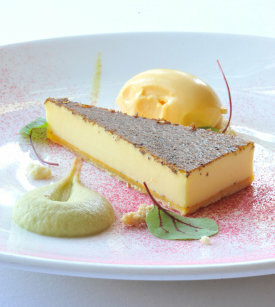 The book provides a guide to 20 of the best fine dining establishments in the South West, with each kitchen providing a detailed 3 course menu recipes and cooking tips to have a go at making it at home. It’s a great book for a budding master-chef, but even if cooking isn’t really your thing, it makes for an interesting insight into how restaurant dishes are created. It’s also a great guide to use for a gastronomic tour of the South West, although we quite understand if you don’t want to eat anywhere but Orestone. Our team of chefs put a lot of hard work into compiling a 3 course menu specially for this book, with detailed preparation instructions. 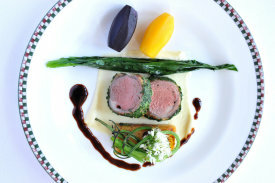 We hope some of you will give cooking this menu a go - do let us know how you get on. If that’s too much trouble, the dishes will be on our A La Carte menu when in season for quite a while - if you particularly want to try then do ring up and check. 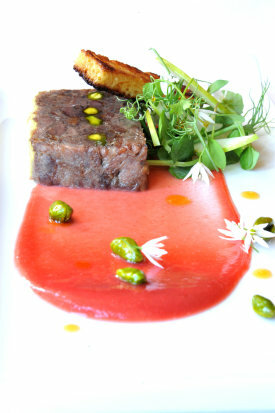 We’ll even put them on the menu specially for you if we can. Copies of the book are available for £20. It’s a really lovely hard back book and would make a great gift, as well as a fabulous read for any foodies. Some people use it as a cook book, some as a restaurant guide, some a bit of each. You can buy a book from reception or order online. If you’d like a handwritten message in your book from Neil, or any of our featured chefs, just let us know.